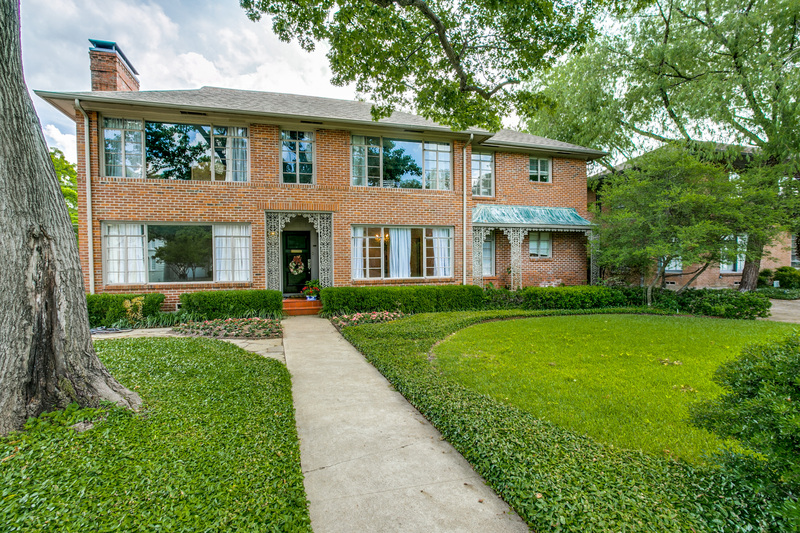 Situated in prestigious University Park within the Highland Park School District and near shopping areas and restaurants, 4421 University Boulevard is a wonderful traditional lower level half-duplex offered for lease and nestled on a 73′ x 140′ lot with fabulous drive-up appeal! Details include spacious entertaining areas, gleaming hardwood floors and decorative molding throughout. Boasting 2,206 square feet of living space, the duplex showcases three bedrooms, two full baths, an oversized living room with fireplace, elegant dining room, updated island kitchen with special finished cabinetry, Corian and cutting board counters, black appliances and a breakfast area, a spacious master suite plus two additional generous-sized bedrooms – all with large closets and two elegant baths, and a two-car detached garage plus one extra uncovered parking space. An automatic gate completes this wonderful residence.